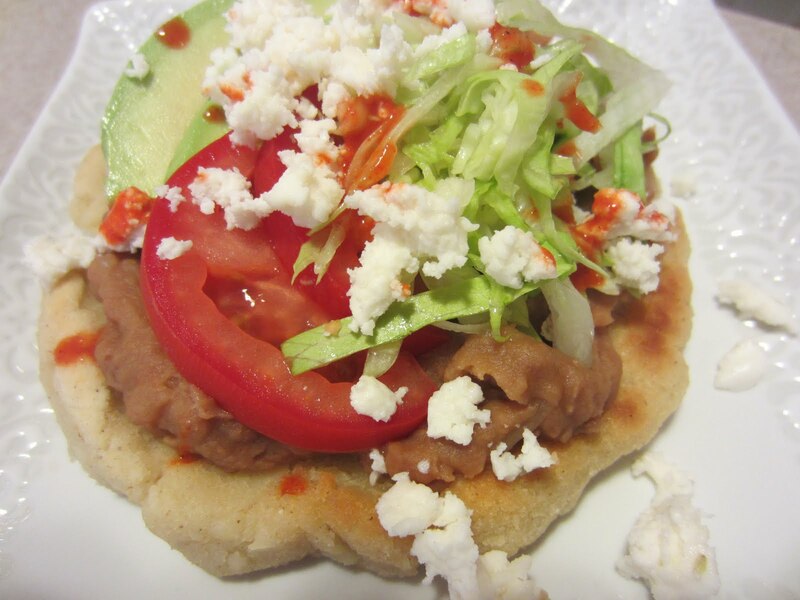 Mexican Sopes AND a GOYA GIVEAWAY!! 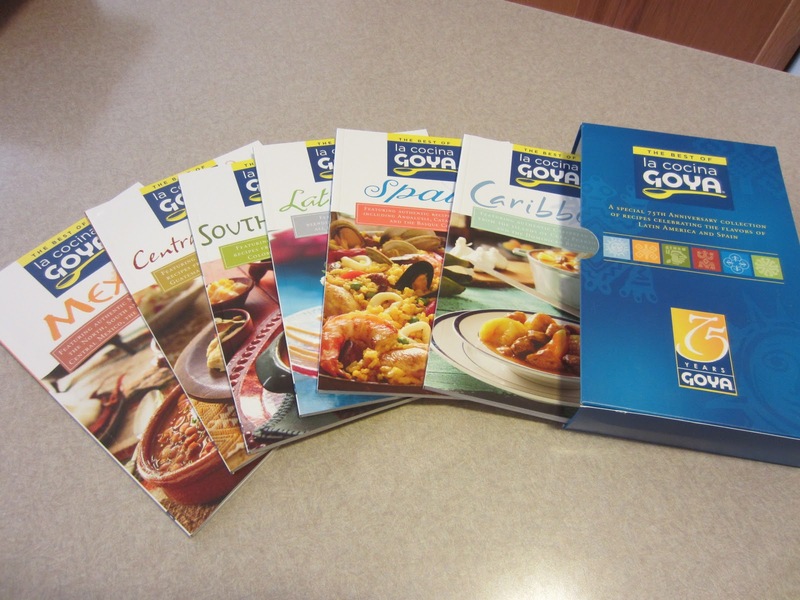 A few weeks ago, a representative from GOYA Foods contacted me and offered me a beautifully illustrated boxed collection of recipes celebrating the flavors of Latin America and Spain to help commemorate Goya Food's 75th Anniversary and they also offered a set to one lucky reader! ( *Goya sent me both boxed sets for free and the opinions expressed in this post are entirely mine) These little cookbooks are neat because they are printed in English on one side and Spanish on the other! Many of you may be familiar with Goya Foods, as they have products in most larger chain groceries across America. Personally, I have used their Adobo Seasoning now for some time...but when I received the cookbooks, I was anxious to try a few new recipes and use some of their other products as well. You will find selection of product may vary from store to store. As I glanced through the books, a few recipes caught my eye...Meatballs in Spicy Tomatillo Sauce, Tortilla Soup, Caramelized Rice Pudding, Cuban Shredded Beef, and Shrimp in Coconut Sauce...but in the end, I decided to try Mexican Sopes. Sopes are like tortillas, but thicker. 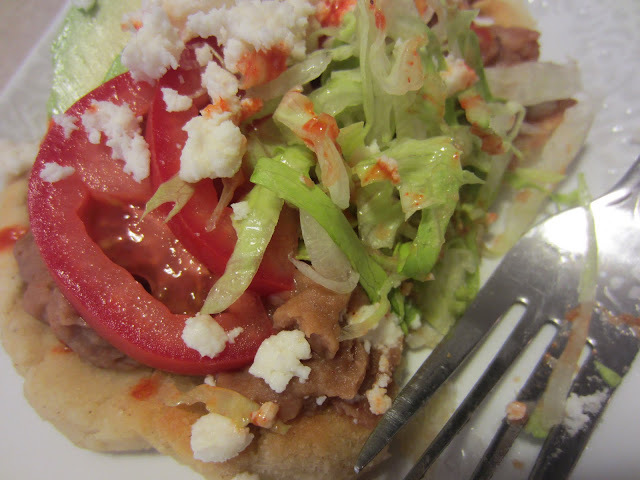 They are delicious when topped with re-fried beans, lettuce, Mexican cheese, tomato, and avocado. They are a popular dish throughout all of Mexico...and best of all...they are super easy to make! My first adventure was to go out and find the GOYA products I needed to make this recipe. It took me a few tries in different stores until I found the Masarica I needed to make the shells. Masarica flour is made from corn and Goya's Masarica is an instant corn dough that you only need to add water to to complete the dough. It could not have been easier to make my own shells. 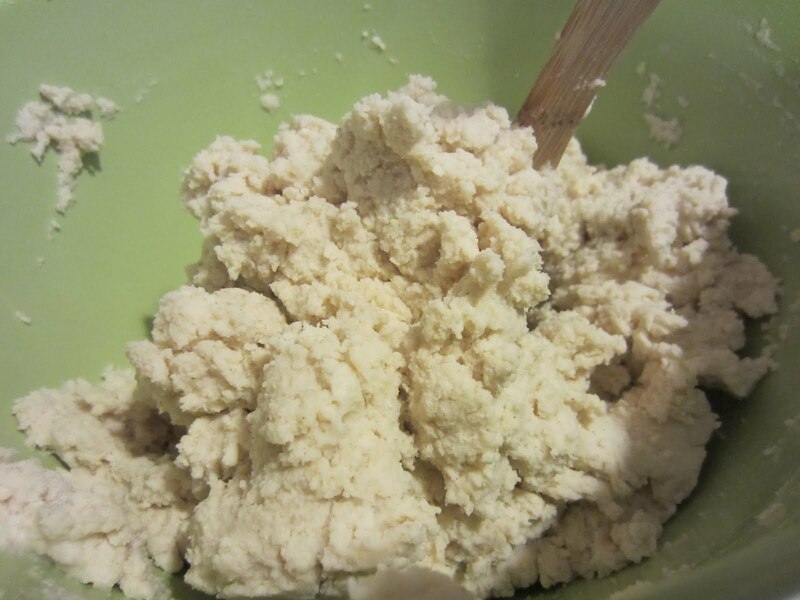 The dough was very nice to work with...not sticky at all. 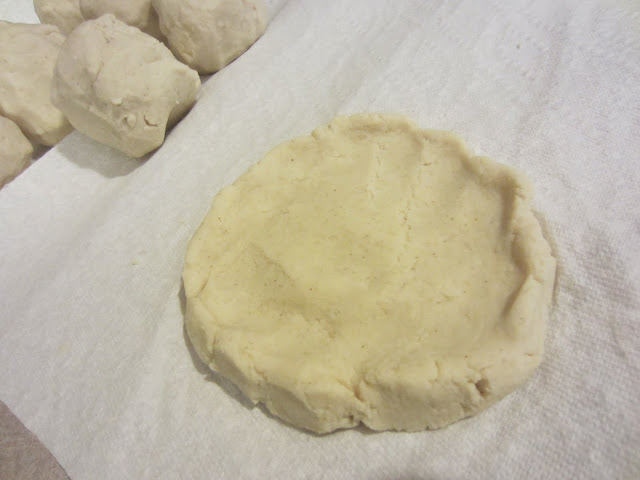 I was able to form my sopes using paper towels to help form the sides and keep the formed dough from drying out while waiting to be grilled up. Of course, I had to put a "healthy" spin on this recipe by NOT pan frying the dough in corn oil, but instead grilling it in a nonstick pan coated with cooking spray. And it worked just fine! ( although I am sure the fried version is really tasty!) By dividing the dough into 12 sopes and using this method of cooking, the sope shell comes in at 3 points+. I also elected to use fat free re-fried beans which I doctored up with some chopped onion and some hot sauce for extra flavor without extra points+. And here is the finished product....soooo good! We had these for lunch and they were super filling. We topped them with the re fried bean mixture, lettuce, tomato, a few avocado slices, Mexican cheese and some Goya Hot Sauce. 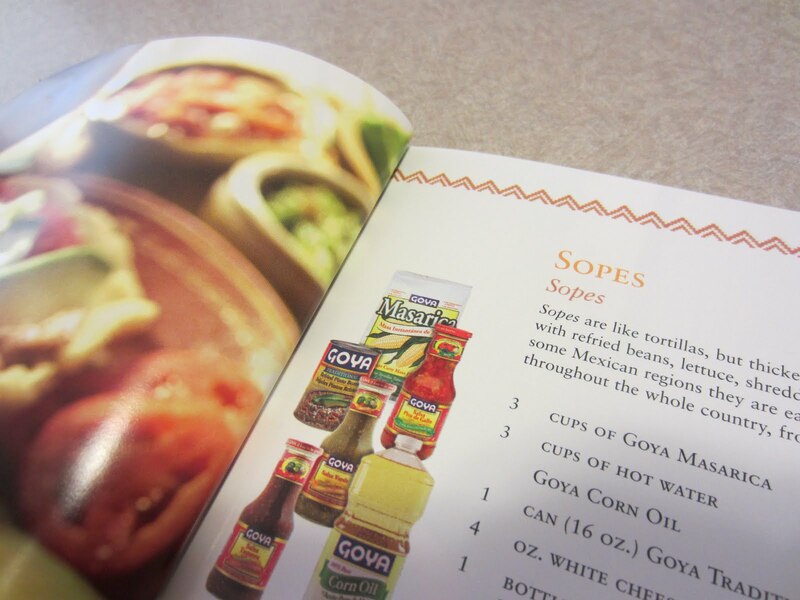 If you can find the recipe for Mexican Sopes in the boxed set in the MEXICO booklet. 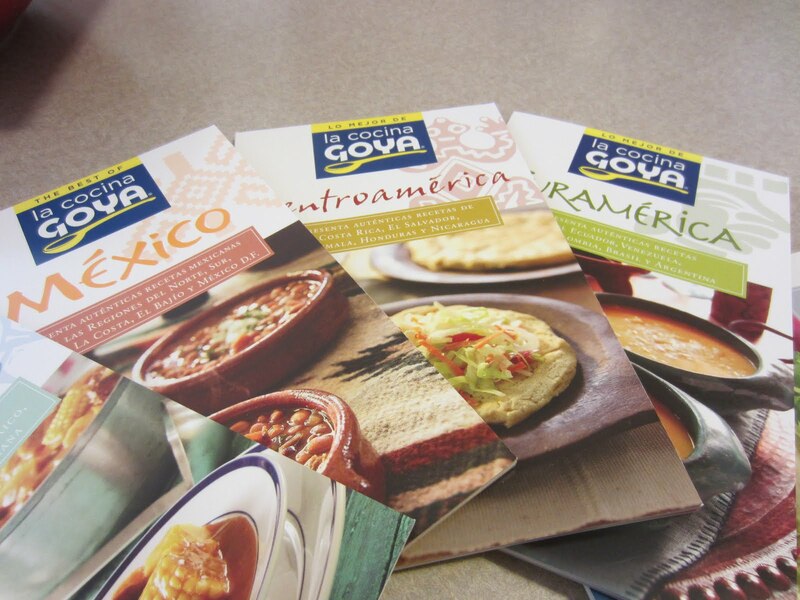 I love that the booklet gives you a visual of each Goya product you will need to make the dish on the side. It makes finding the products that much easier. These sopes were really good and since I made so many, I had a few left over. I reheated them the next day and served them with the re fried beans, lettuce, tomato and a poached egg for breakfast! Yummy! Now...would you like to find out how you can WIN your very own Special 75th Anniversary Collection of Recipes celebrating the flavors of Latin America and Spain?? then leave me a comment telling me which recipe sounds like something you would really love to try! * I must be able to contact you to let you know you have won and so that your prize pack can be delivered. If you do not have a blog I can contact you on, please include an email in your comment and a name( you can write out the (at) and the (dot) to help avoid getting spam) or send me your email address through my email ( mykitchenadventures (at) yahoo (dot) com) and let me know who you are and which comment is yours. Anonymous comments will not be included in the contest, unless somewhere in the comment you have left me a name and contact information. Contest is open to all US residents only, sorry. This giveaway will end on Friday, August 12, 2011 at 8:00 pm EST. Winner will be chosen at random and will be announced either that night or the following day. Winners must claim their prize within 24 hours of notification, or a new winner will be chosen. literally the plantain sundae with carmel sauce jumped out at me when I went to the site! It looks so yummy! 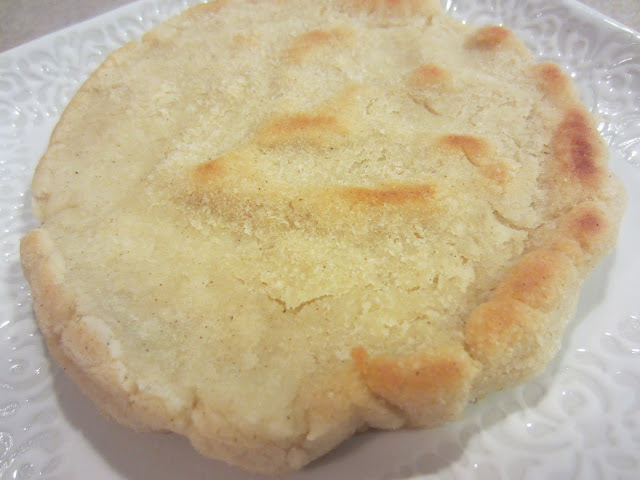 i follow your blog and am now on the hunt for that flour to make some sopes! i love to order them at restaurants but never want to because they can be so fattening. Love to see a lighter version. The Fiesta Rice and Shrimp Salad sounds and looks yummy! I would pick the strawberry mojitos, but that's because I would give my left arm for alcohol right now.. LOL!! The recipe looks so yummy! Can't wait to try it. Ooh, looks good!! I love Goya!! Oh boya! OOOH, I WOULD LOVE TO TRY THE SHREDDED CHICKEN TACOS! I am a steak lover, so the grilled steak with sofrito butter sounds like my kinda recipe. Posted this on my facebook page. Chip grilled the chicken last night! I had 3 pieces!!!! Very good........ Great as a sandwich! Still havent made the sopes! Waiting for Kenz... (she's been working a lot! )Want to make them together! PS.. The cookies look soooo yummy!